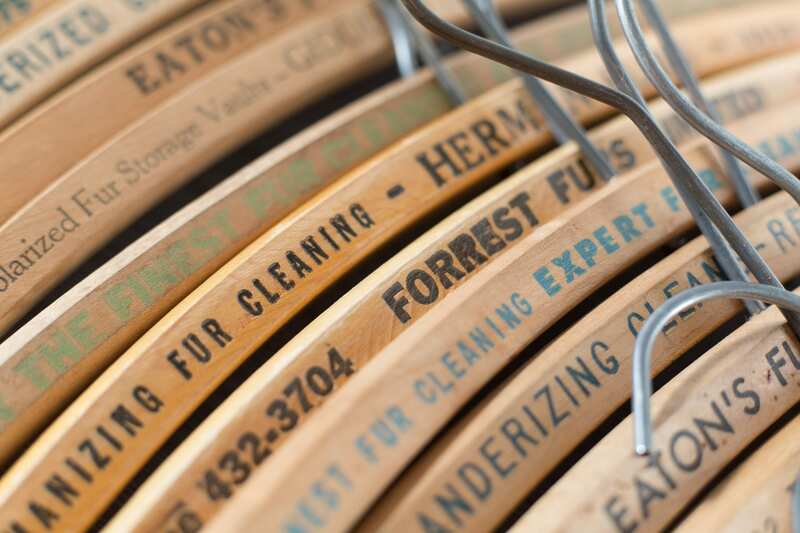 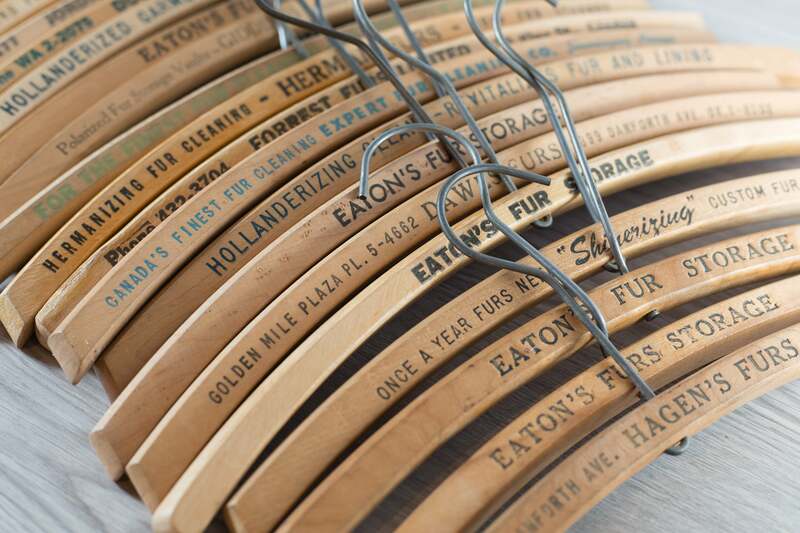 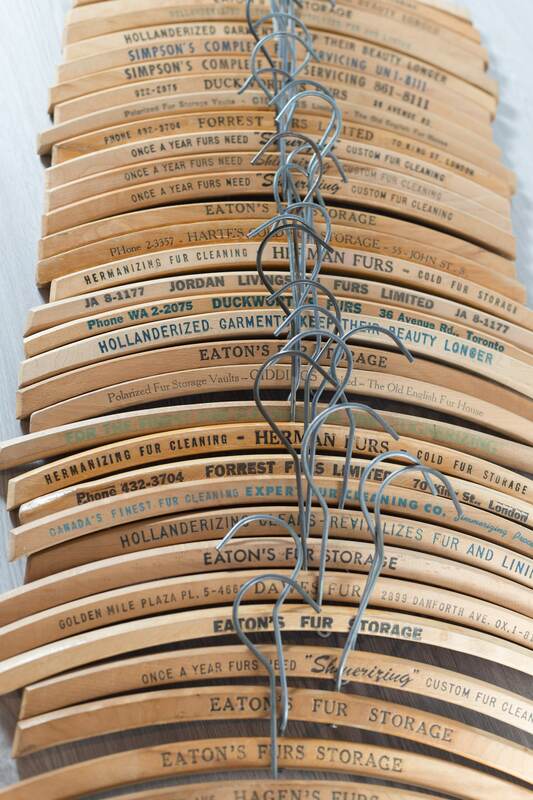 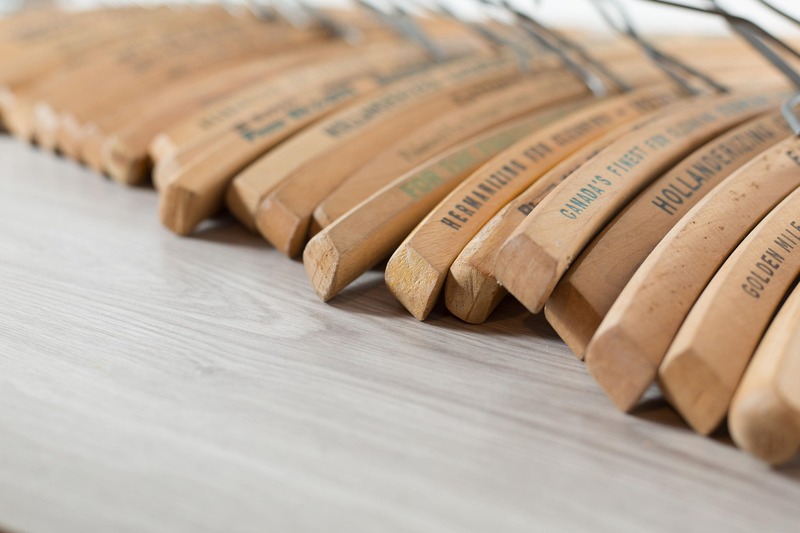 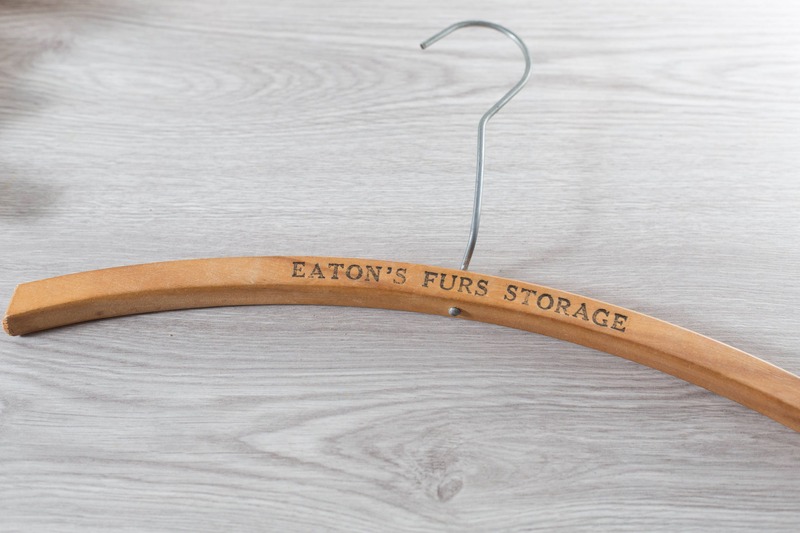 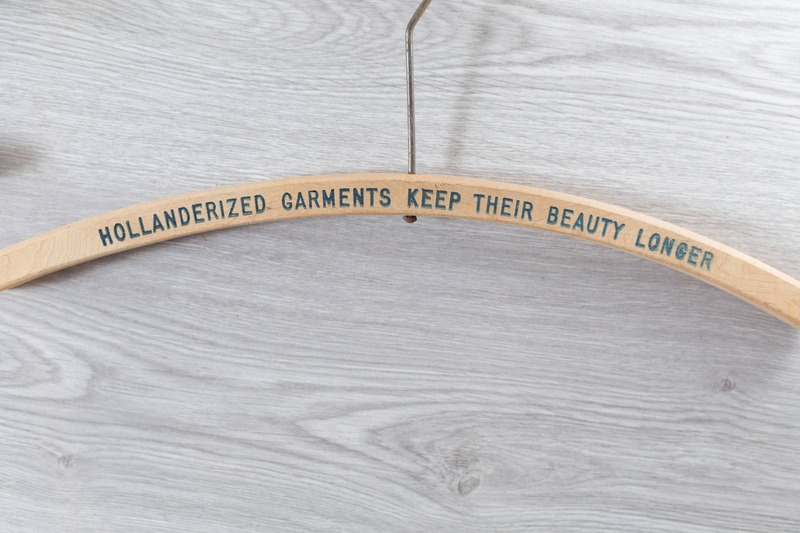 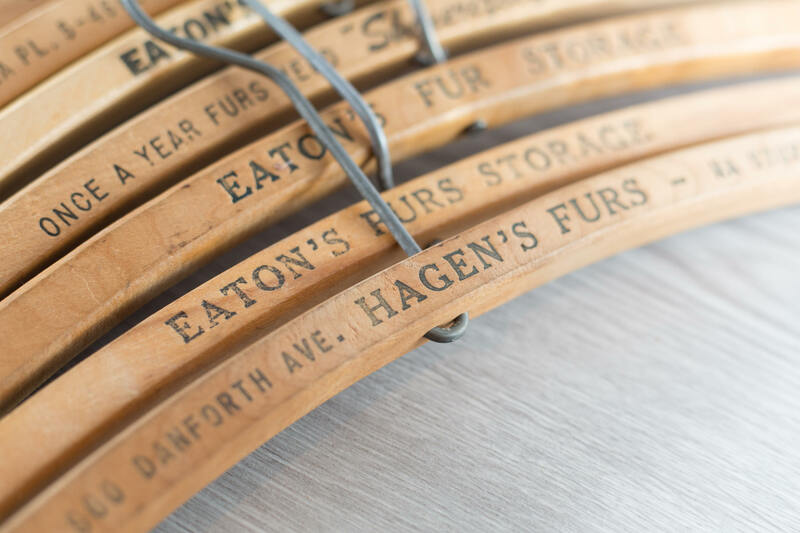 This listing is for 20 wood fur coat hangers. 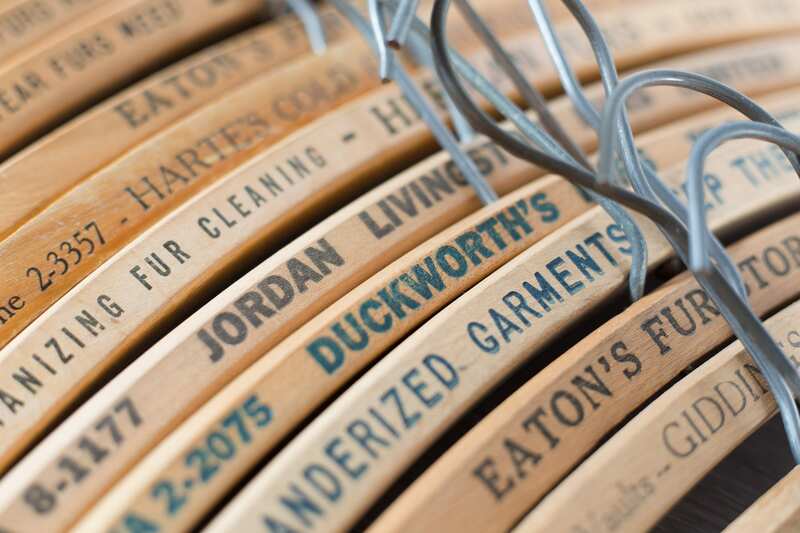 They are engraved with various company names in different colours. 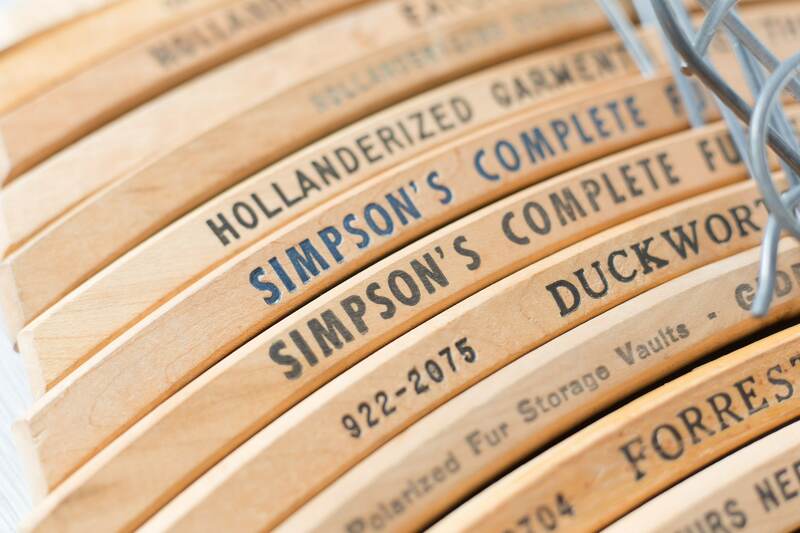 Many of the companies are no longer in existence. 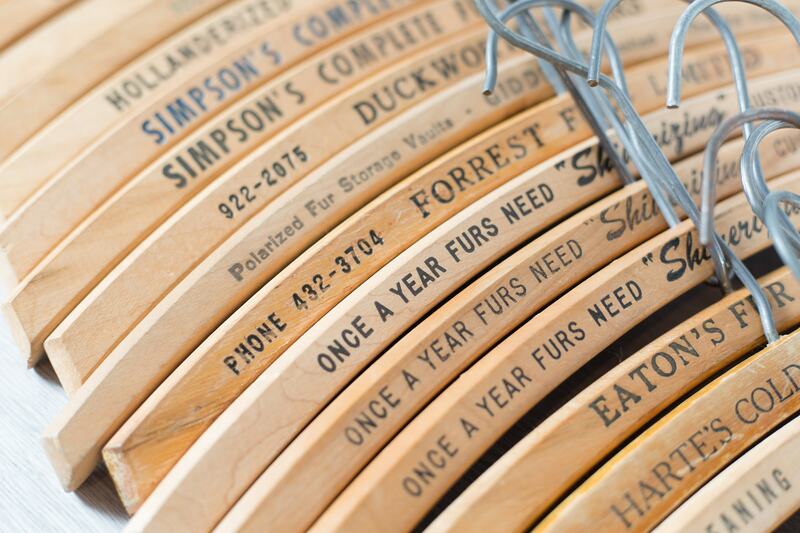 Names include Simpson's, Eaton's, Hartes, Hagen's Furs, Forrest Furs Limited, Duckworths, Herman Furs, etc.